Meet up location will be the WAWA, 4660 FL-46, Sanford, FL for a departure at 7:30 am. 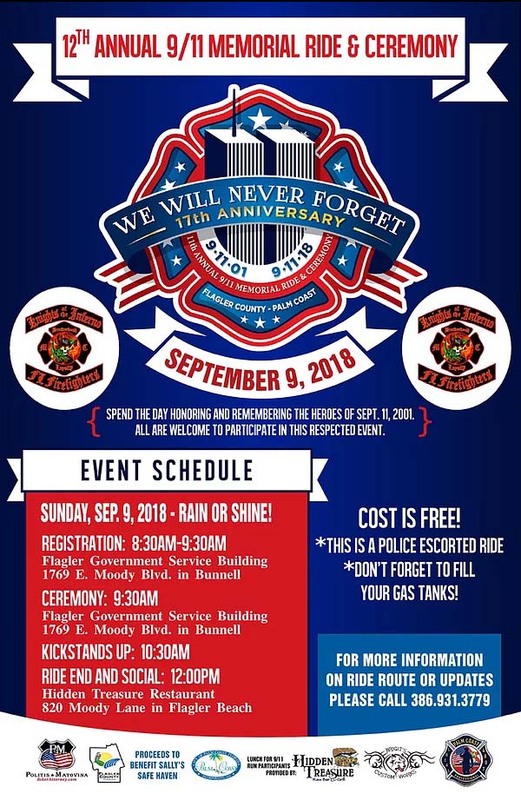 From there we will ryde to Bunnell via 17/92 and 11 and will arrive at the Government Building around 8:50 am for Registration and ceremony at 9:30 am. 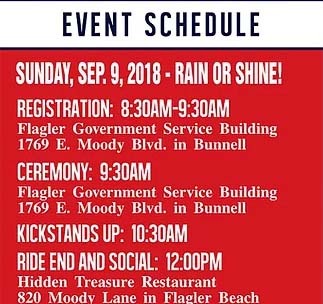 There is NO cost and the ryde from the Flagler Government Service Bulding is an escorted ryde. Post a comment if you plan to attend this event.